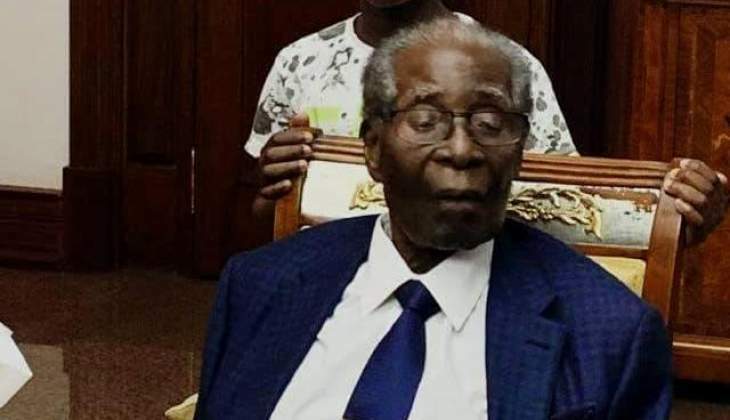 Former president Robert Mugabe could make a sensational return to Zanu-PF one and a half years after the frail nonagenarian was swept from power by a military coup- if the party's overtures to him yield positive results. Former Zanu-PF secretary for administration Didymus Mutasa and former Mashonaland East provincial minister Ambrose Mutinhiri have already retraced their steps back to the ruling party - but leader of the People's Rainbow Coalition and former vice president of Zimbabwe Joice Mujuru says she will never go back. "We welcome you comrades. President Mnangagwa has directed us to readmit former members, willing to re-join the party. "The President has even gone further to invite members of the opposition saying let us build our country together. "He believes that we should not derail our development through unnecessary politicking. We are all Zimbabweans we must work together to develop the nation. "You will be seeing the new dispensation arrangement where we have fulltime members of the party, you will see a different Zanu-PF in terms of operations and effectiveness because we are not closing anyone out, we have agreed that all members who were expelled from the party or who left the party should come back," he said. "This restructuring exercise has actually given the members that sympathise with us some hope of participating in the party they love. The previous system was so restrictive that members were not allowed to exercise their democratic right to participate in the party. So this is one of the benefits and results in the last few weeks following the dissolution of Bulawayo Province for one," he said. Meanwhile, after making stunning revelations that he was going to meet former president Robert Mugabe at his Blue Roof mansion, MDC leader Nelson Chamisa said Zanu-PF has increased security at the former president's house in a bid to block the meeting. Addressing the party's provincial structures in Masvingo recently, Chamisa claimed that Mugabe promised to give him damning files on all the Zanu-PF top brass hence the reason why they went into panic mode over the proposed meeting. "I wanted to cause panic within Zanu-PF and said I wanted to meet Mugabe. Everyone in Zanu-PF went into panic mode and they were sweating all over. "I heard Mugabe has damaging files on all Zanu-PF chefs and he told me to come get them so they want to prevent me from seeing him. This has become a contentious issue within Zanu-PF and we hear they are increasing security at the Blue Roof mansion to make sure that I do not get in. Every day they add soldiers," said Chamisa. "I haven't met Mugabe since he was removed from power to ask him how retirement is going. Mugabe thought that the country would come to a standstill when he is not in power but that is not the case. I am still playing politics but will eventually have a meeting with Mugabe," said Chamisa.